Luminaria is a festive washable wool blend ensemble using contrasting colors for a bold impact. 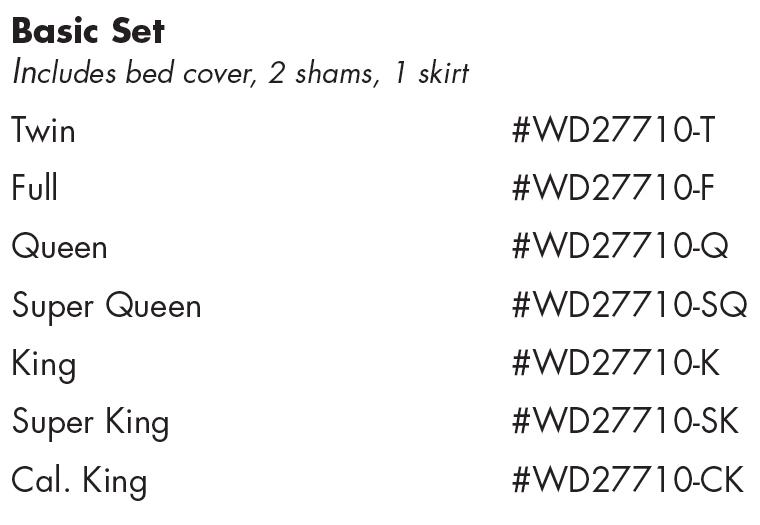 This set is paired with the bright Signal Ruby euros, soft Caprice Cashmere bedskirt, and supple Saloon Gray leather for accents and pillows. Luminaria is a 20% Wool-Blend with Poly and Acrylic, It is a non-scratchy feel, and woven in Italy. 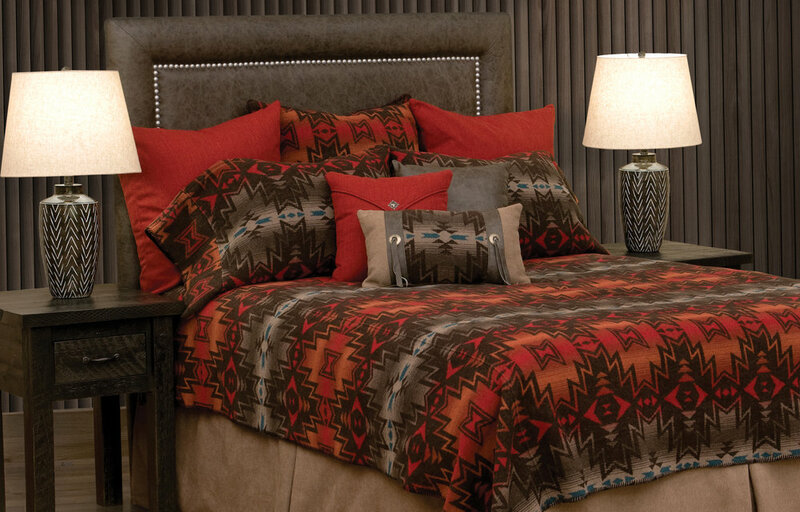 Bedspread & Shams are Machine Washable on gentle cold, tumble dry on low.